Each year new technology advances faster and faster. As innovative technology becomes more affordable and adoptable, educational institutions figure out ways to improve educations utilizing these tools. 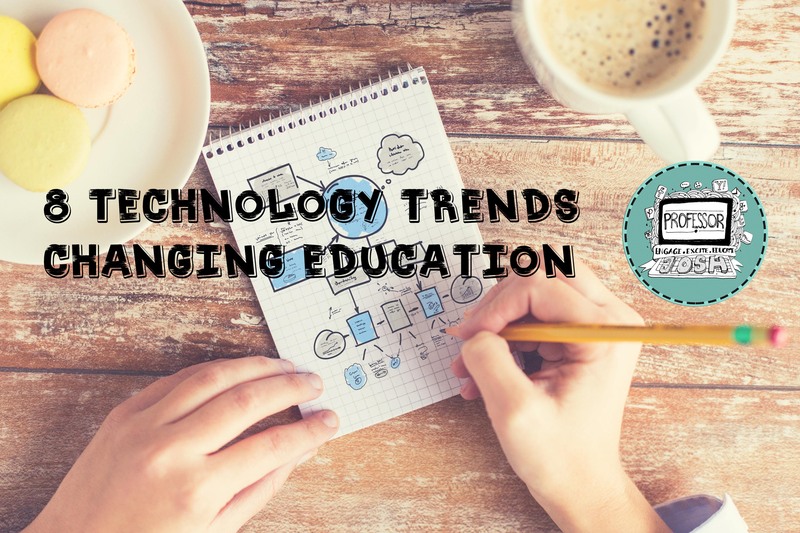 I want to focus on 8 technology trends changing education in 2016. Crowdfunding has change the way we bring innovations to life. Imagine how we can continue to drive innovation and change in education through crowdfunding. 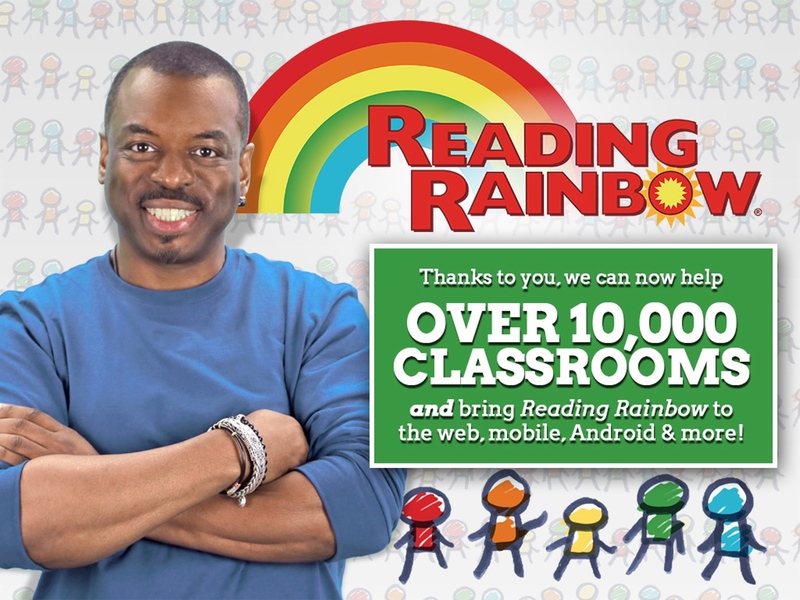 Reading Rainbow was brought back to the classroom with over $5 million pledge in their Kickstarter campaign. Classroom projects and supplies are being funded through DonorsChoose.org, where the help real teacher with real needs. From books, to field trips, to 3D Printers, students are getting the tools they need to thrive in our restricted educational environments. 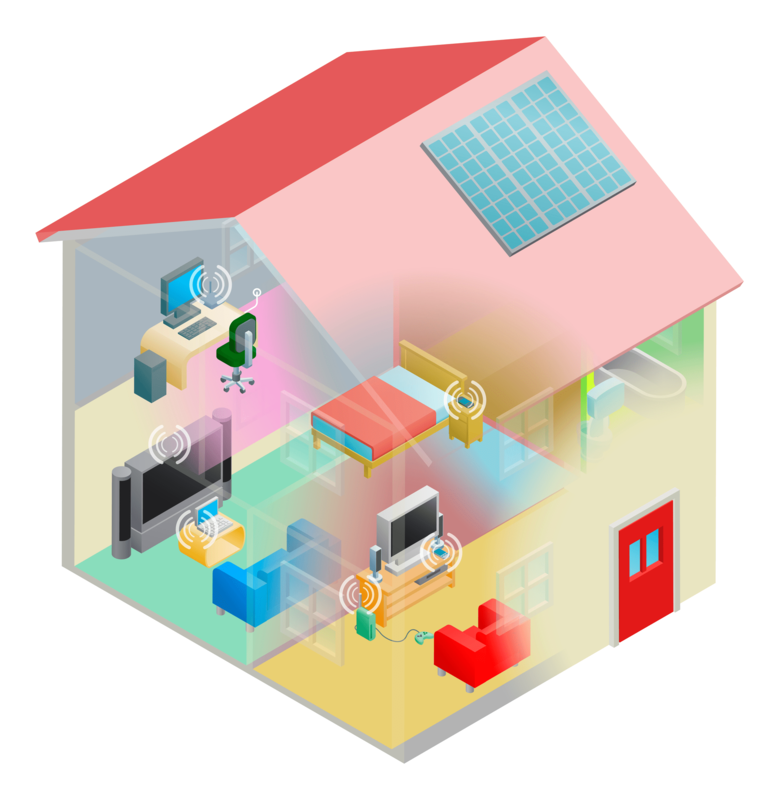 Everything from coffeemakers to lamps to thermostat are connecting and producing data. How can we use data to help us become better educators, better students, or more innovative institutions. A good use of connecting multiple platforms and software through triggers is IFTTT (If This Than That). From connecting your Amazon Echo to your Hue lights to connecting your posting reminder for a group project to a Slack channel. From sensors on our fitness trackers to the information being stored from watching videos, all this data is being collected. What can we use it for? How will this influence schools? Can this make life easier? Exploring space, diving into the great barrier reef, or exploring ancient Rome are all a reality from the comfort of your own classroom or home. The View-Master of my childhood has kicked it up a notch with the additional of a smartphone to a Google Cardboard experience using custom headset and digital triggers. Google Cardboard is the most inexpensive way to experience virtual reality, especially in 360 degree videos. Oculus Rift has taken the gaming world by storm but requires powerful computers and expensive hardware. This technology will bring a truly immersive environment, such as this one at the Dali Museum but will still need to come down in price to be affordable to the masses. While virtual reality attempts to take you to another world or location, augmented reality merges the physical and digital world through your device. Imagine the interior design student seeing live placement of furniture and features right on their device to show potential clients. Bring to life static images, such as kid drawings and posters, using platform like Layar. Microsoft HoloLens could bring designs how to instructions, and Minecraft to life. Live Streaming use to require a satellite truck and video crew but now it can be done from the palm of your hand with an iPhone. I have predicted 2016 to be the year of live streaming due to the improved features in Facebook Live, Blab.im, Periscope (now owned by Twitter), and Meerkat. Blab is one of the technologies that I see replacing the traditional podcast, with several speakers (up to 4 at a time) and lots of audience interaction. Plus it’s live and being recorded for reply. Now if you could only download it, not just stream it. Video continues to push the limits with fast internet speeds and user demanding to take in information quickly. Forget the long videos, people want short quick burst of information from 15 seconds on Instagram to 6 seconds on Vine. How much shorter will attention spans get? WebRTC is making it easier to video stream right in your browser, without software downloads and other issues. Plus all video is moving towards being mobile friendly. Prototyping and developing physical of products took tons of money and lots of time. Now affordable 3D Printing has brought innovation and design to the masses. From developing 3D prosthetics for kids through e-Nable to building a working violin for under $125. 3D Printing is crossing disciplines and allow students to build, create, and learn from their mistakes at affordable cost. Connecting the world to wi-fi will be a key game changers in education and bring education to everyone. Both Facebook and Google are making huge strides into figuring out ways to do this without huge infrastructure changes needed. Facebook is looking at deploying an army of solar powered drones that will continues provide wi-fi to remote areas. Google is looking to do something similar with Project Loon, launching wi-fi balloons into the area. Wi-fi should be a service that is available to everyone, cities should make it available to citizens and rural areas need to figure out innovative ways, such as Project Loon to make it available beyond normal reach. Great read thanks for sharing! It’s amazing how technology has made things easier and more interesting for us. Crowdfunding is another change brought about by technology which helps us raise funds easily and more people are benefiting from it everyday. Check out crowdfunding platforms like http://www.plumfund.com/ to learn more about its benefits. I’m curious about augmented reality too. I’ve found a couple of apps and tried it out with more or less success. Humans tend to get distorted. Can you recommend any that are doing a really great job? The ultimate in Augmented Reality is Microsoft Hololens. I’ve used Augment and Layar too. Sweet. Thanks! I’ll check it out. Being a programmer, I am using iBeacons currently to develop and app where we can track the movement and availability of directors and other roles. The technology trends have changed so much in such a short span i believe, made our lives much comfortable. Great article! Understanding trends is imperative for our kids academic preparation and our personal career advancement.